Estimates range from 1.7-2.3 million homeschooled students in 2016. Blacks, hispanics, asians and other minorities make up 41% of homeschooling families. 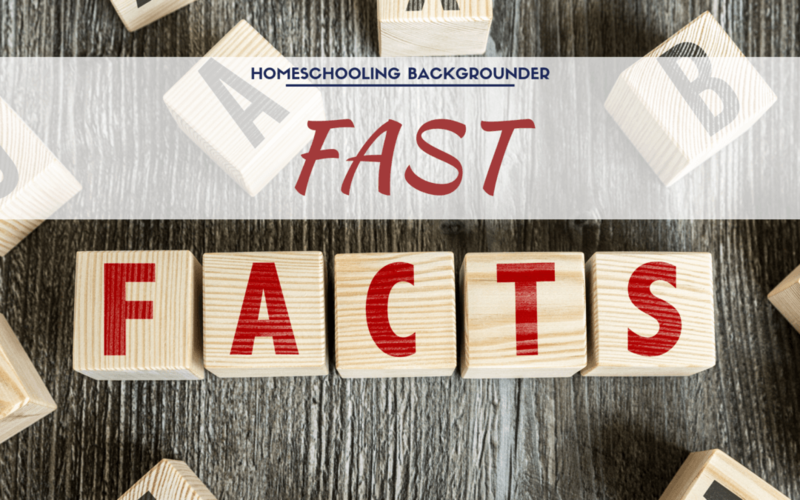 Homeschooling families come from many different backgrounds: Atheists, Christians, Muslims, and Mormons; progressives and liberals, libertarians, and conservatives; low-, middle-, and high income; parents with Ph.D.s, GEDs, and no high school diploma. The average U.S. homeschooled student scores 15-30 percentiles higher than the national average. Oregon homeschoolers, on average, score 29 percentiles higher than the national average. Arkansas homeschoolers, on average, score 11 percentiles higher than the national average. Socialization is the process of gaining the abilities and motivations necessary to function well as a member of society. In recent research, homeschoolers have demonstrated the sufficiency of their socializing experiences, on some issues showing better results than conventional schools. One study suggests homeschooled students may be more politically tolerant than public school students. The best data available offers credible evidence that homeschoolers have a lower child abuse rate than the national average. There are no studies existing that offer credible evidence that homeschoolers have a higher than average child abuse rate. Homeschool academic achievement is not boosted by regulations. There is no evidence that regulating homeschoolers protects homeschooled students from child abuse.